You Tell Us: What's the Coolest Building in Arizona? A recently published list of 25 "must-see" Arizona buildings is sure to spark disagreement among the state's residents. 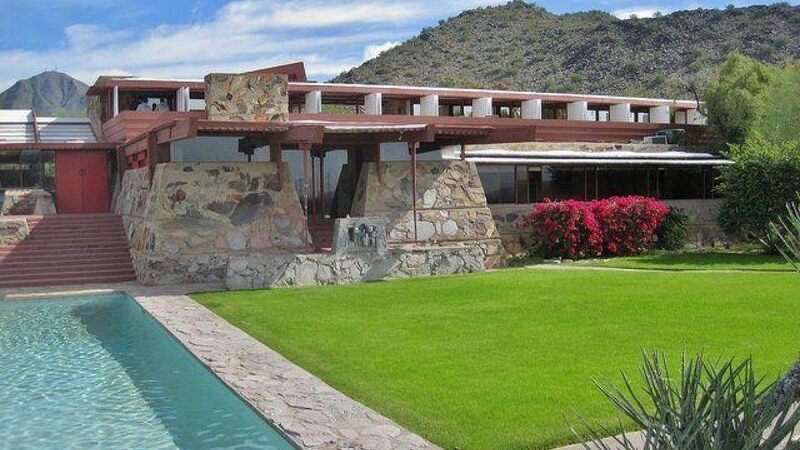 The list, compiled by USA Today and the American Institute of Architects, was created by asking members of the AIA's Arizona chapter which structures in the state are most significant. Included on the list are some obvious choices, such as Taliesin West in Scottsdale, Chapel of the Holy Cross in Sedona and Mission San Xavier del Bac near Tucson. But there also are some surprises, including Montezuma Castle National Monument, Salt River Fields at Talking Stick near Scottsdale, and the Northern Arizona University Science and Health Buidling in Flagstaff. Of course, this list was created from an architectural perspective. There are plenty of other, more personal reasons to love a building. So, we'd like to know what you think. In your opinion, what are Arizona's must-see buildings, and why? Let us know in the comments. I find that the online format with the grey print is very hard to read. Is there a reason why your articles are done in this manner?